Rabbi Lord Jonathan Sacks of the United Kingdom has been appointed to a dual professorship at New York University (NYU) and Yeshiva University (YU). A world-renowned scholar, philosopher, religious leader, prolific author and a leading moral voice, Rabbi Lord Sacks served as Chief Rabbi of the United Hebrew Congregations of the Commonwealth from September 1991 until September 2013­–only the sixth incumbent of the position since it was formalized in 1845. During his tenure, Anglo-Jewry was reinvigorated through a series of innovative communal projects in the fields of education, cultural creativity and leadership development, together with a call for a renewed commitment to the ethical dimension of Judaism. At YU, Rabbi Lord Sacks will serve as the Kressel and Ephrat Family University Professor of Jewish Thought. At NYU, he will be the Ingeborg and Ira Rennert Global Distinguished Professor of Judaic Thought. He will teach and be involved in academic activities in New York and elsewhere in NYU’s global network. 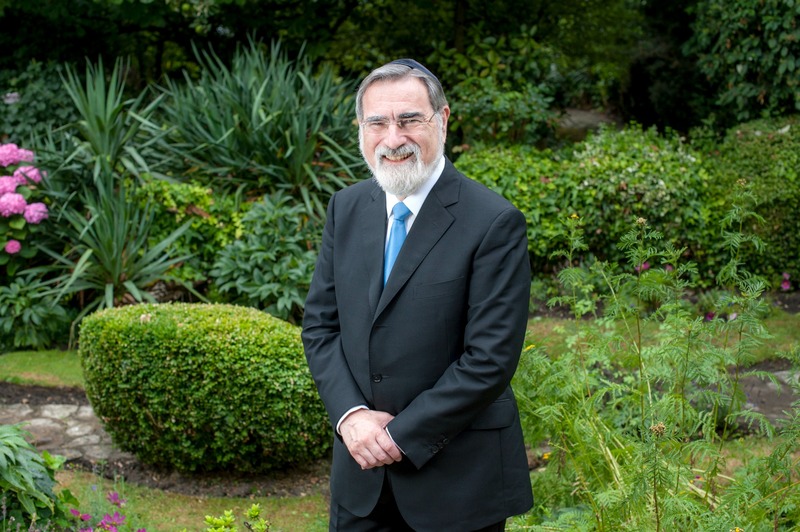 Rabbi Lord Sacks was educated at Gonville & Caius College, Cambridge, where he earned first class honors in philosophy and pursued post-graduate studies at New College, Oxford and King’s College, London where he earned his doctorate in 1981. That same year he obtained his rabbinic ordination from the London School of Jewish Studies–where he later became its principal–and Yeshiva Etz Chaim. In 2005, Rabbi Lord Sacks was knighted by Her Majesty The Queen and made a Life Peer, taking his seat in October 2009 at the House of Lords, where he sits on the cross benches as Baron Sacks of Aldgate in the City of London. He is a frequent contributor to radio, television and press both in the UK and around the world, and has authored 25 books, a number of which have received literary prizes including the Grawemeyer Prize for Religion in 2004 for The Dignity of Difference, and a National Jewish Book Award in 2000 for A Letter in the Scroll. Covenant & Conversation: Genesis was also awarded a National Jewish Book Award in 2009. In addition to his duties as professor, Rabbi Lord Sacks will be an integral part of extracurricular life at YU and NYU. His role at the universities is made possible by generous support from the Rennert and Kressel families. In recognition of his work, Rabbi Lord Sacks has won several international awards, including the Jerusalem Prize in 1995 for his contribution to diaspora Jewish life and The Ladislaus Laszt Ecumenical and Social Concern Award from Ben Gurion University in Israel in 2011. Rabbi Lord Sacks has been a visiting professor at several universities in Britain, the United States and Israel, and holds 16 honorary degrees, including a Doctor of Divinity conferred to mark his first ten years in office as Chief Rabbi, by the then Archbishop of Canterbury, Lord Carey.